If you create, modify and manufacture sheet metal components and assemblies, Sheet Metal for BricsCAD V17.2 will make your work-day better. Whether you’re creating new parts, or updating existing designs, Sheet Metal for BricsCAD gives you maximum flexibility when editing your models. We have combined the freedom of direct modeling with the power of feature-based design. In doing this, we’ve removed the conceptual limits that you would encounter with history-based CAD modelers. Now in its sixth release, Sheet Metal for BricsCAD V17.2 adds new design intelligence by automatically placing 3D constraints within your model as you work. The result? You’ll have better dimensional control over your designs with the automated creation of these constraints. When you use junction features in your designs, Sheet Metal for BricsCAD V17.2 will allow you to split thickness faces into regions. As a result, your ability to work with junction features is enhanced. Create a new bend and you’ll be able to adjust the bend radius directly. Use the Relief creation tool and the system will automatically make the bend relief for you. When you work with certain predefined form features, you’ll have the option to selectively explode them into a series of flanges and bends. We’re always improving Bricsys products. In Sheet Metal for BricsCAD V17.2 recognition of improper bend features is now more accurate, and new program logic improves the handling of modeling operations with junction features. When you choose to export your designs via OSM, V17.2 now supports connections between bends and lofted bends. Also, the treatment of hard edges is now more robust when you export your geometry as an OSM file. 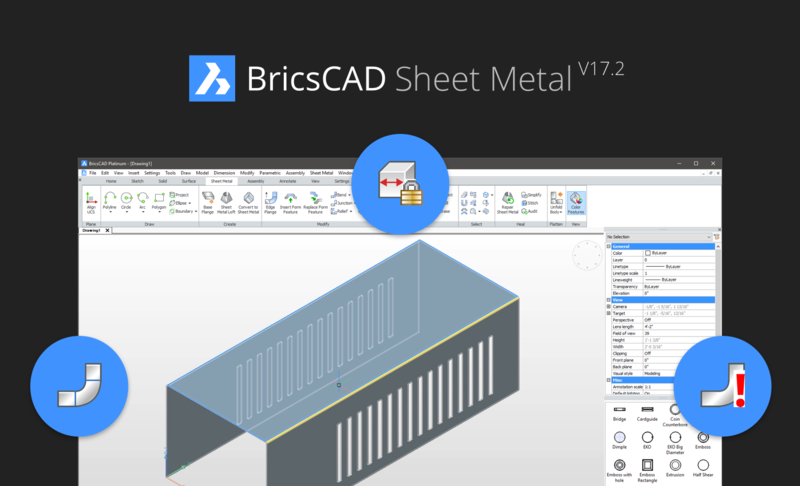 Sheet Metal for BricsCAD V17.2 is a free update to our current V17 Sheet Metal customers. It is available in many languages for the Windows, OS X, and Linux operating systems. You can download the English version for Windows today. We’ll be releasing additional languages and platforms in the weeks to come. Sheet Metal for BricsCAD requires a BricsCAD Platinum license. You don’t have BricsCAD yet? BricsCAD Platinum + Sheet Metal V17.2 starts at just €1160/$1,320 for a real, perpetual software license with no on-going costs or fees. Interested in the next generation of native .dwg based CAD? Find out more today on our website. Do You Know About BricsCAD Communicator? To find more information about the V17.2 update, don’t forget to check the new features for BricsCAD and BricsCAD BIM. 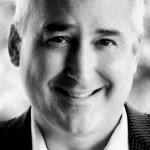 Don is our VP of Communications at Bricsys. He has spent 2/3rds of his life in the CAD industry. Don is a huge fan of (truly usable) technology, high fidelity audio and (really) well-designed machines. What’s New in BricsCAD® V19?